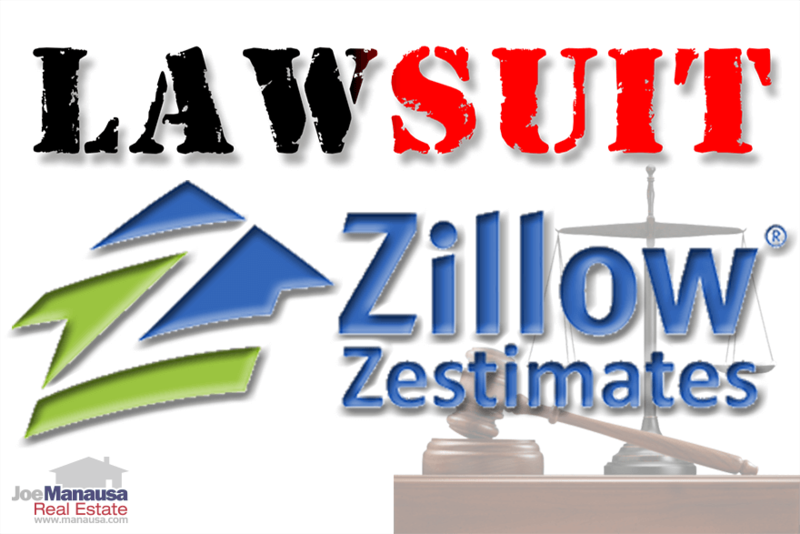 I don't know if you heard that Zillow is being sued over the inaccuracy of its Zestimate application. The fact is we've noticed local home sellers put in a position to lose money so we've assembled these tips to keep you safe. This is big news in the real estate sector and it could have a significant impact in what online real estate data services can do with their information. But while "big," it is not "new" news to our readers. If you recall, we shared the article "Zillow Zestimate Missed By A Mile On This One," (a full year ago) regarding a case that is almost too amazing to believe. The fact is that the Zillow Zestimate, as well as all other online home valuation tools that I have seen and used, are not yet to the point where their results fall within an acceptable margin of error. The fact that some people around the country relied upon the valuations provided by the Z-estimate tool and ended up selling their homes far below what they could have received seems (to me) to be a stretch of our legal system. After all, it is a free service and shouldn't people know better than to trust the sale of their home to an "app" when better information is available"
I will concede that most online home valuation tools (including the "Zestimate") are as accurate as most real estate agents. Bear in mind that the majority of listing agents in America sell fewer than 2 homes per year and are not trained (nor inclined) to truly monitor home values across a local real estate market. But for the purpose of this article, I'll compare these tools with the top 1% of the real estate agents in the market, the people that you should be interviewing for the job of selling your home when the time is right. These people have the tools, knowledge, experience, and RECENCY of ACTIVITY in the market to truly understand home valuation. It is a combination of factors that make it very hard at this present time to replicate using data from across the internet. The fact is the data these tools need is nowhere to be found, and it will take years of assembling this data to truly make a home valuation application competitive with the top real estate agents in the market. The following tips will help you understand how to use the Zillow Zestimate (or any other online valuation tool for that matter) in your preparation to sell your home, without you leaving money on the table. 1. DO use an online valuation tool to check the work of your real estate agent - One statistic that seems to recur every single year, regardless of the technical innovations sweeping through the real estate industry, is the fact that roughly 70% of all home sellers hire the first agent with whom they speak about the job of selling their home. Seriously? You'll be spending tens of thousands of dollars for this service (ie, do you purchase the first car you see that is priced within the range you want to spend? ), don't you think you should ensure you get the best you can so you net more money for your home? Do you want to just get your home sold? Or do you want to net top dollar from the sale? Regardless of the agent you hire, you should check his or her work by looking at comparable sales provided by the online home valuation tools. If you think your agent is recommending a price too low (or too high), question her about the specific comparable sales that the tool(s) have provided. 2. DO NOT use a home valuation tool as the basis of your decision to sell your home - Too often, homeowners decide to sell their home based upon "what they will do with the money from the sale." They take only enough time to determine the benefit from the sale, and not enough time to consider what will happen should they not receive the amount of money they perceived was available. These home valuation tools provide some good information, but their conclusions should not be used to make big decisions. Get the best real estate listing agent in your area to help you decide if the real equity in your home is adequate to support your sale and move. 3. 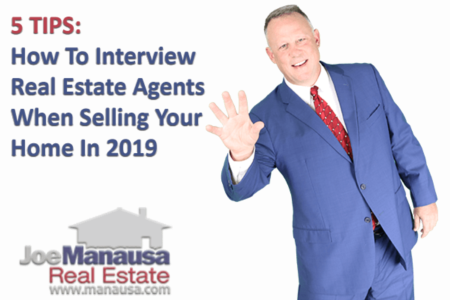 DO NOT use a real estate agent's valuation of your home as the basis of your decision to hire that agent - In point #1 above, it is noted that the biggest mistake made by home sellers is they hire they first agent they interview. The primary reason that they do this is that they like the agent and they love the amount of money that agent tells them their house is worth. IMPORTANT ... DO NOT LET AN AGENT "CLOSE YOU" BY SAYING YOUR HOUSE IS WORTH A HIGH DOLLAR AMOUNT! This happens all the time. You meet with a charming agent, they say your home should fetch 120% of its real current value. You are so excited by your new-found wealth that you hire the agent. Then you become a statistic, another home seller who fails to capture the top dollar and perhaps fails to sell your home at all (read this article to see why you will typically net more money with a fast sale than with a sale that takes months to complete). 4. DO use a Zestimate as a way to gauge the general direction of the market - The Zestimate still does not accurately determine a singular home's value in many cases because it has not been loaded with the data that helps distinguish the fine particulars of one home versus another. Believe it or not, land size, frontage (like being on a lake or a golf course), and even whether or not a home has a swimming pool does not appear to be considered in the valuation of a home by most of these tools. Do you think your home with frontage on the lake is worth more than the home across the street that backs up to Thomasville Road? Well, you might have a difference of opinion then with your online appraisal. But that does not mean the Zestimate does not have value at the macro level. It is tracking useful value trends that can give you an idea of the market for your home now versus a time in the past. If your zestimate is higher today than it was a year ago, then likely your home is worth more than you would have achieved in a sale last year. Just don't rely on the specific value, rather pay closer attention to the trend. 5. 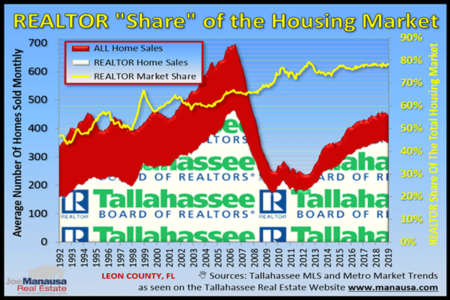 DO NOT use the comparable sales information from nearby recent home sales as "fact" - This is a big deal. Most people think that sales information on the internet must always be true ... but guess what? It's not always true and accurate. I have seen recorded sales where I knew the back-story of the transaction and the public filing in no way represented what truly occurred. For example, let's say you notice that your neighbor sold their house last month for $300,000. Do you think it matters if the home seller paid $18,000 of the buyer's closing costs (meaning a real net sales price of only $282,000?). What if the seller of that same transaction allowed the buyer to keep furniture, fixtures, and the riding lawn mower. Do you really consider it a $300,000 comparable sale if everybody else is not paying closing costs and all are taking their belongings with them? These are the little intricacies that are not relayed in public filings, thus you should not consider a singular comparable sale as fact until an expert has verified the validity of the price. Of course, the opposite scenarios exist too. If a set of parents sell a home to their child at a price below the market, is that truly a comparable sale? Most online valuation tools don't look to see the parties in a past sale, they just record price and value. Regardless of the tool you use, recognize that they have a long way to go before they will be able to accurately value all homes within a market. I hope this article has shed some light on both the dangers of online home valuation tools, as well as the benefits of using them to support you when it comes time to sell your home. If you would like to see what a world-class listing agent can do to help you attain top dollar when selling your home, simply drop me a note and we'll be in touch right away to show you a better way to market your home for sale. Come On Zillow, Make Me Move!